NORWALK, CA — The California Community College Athletic Association Southern California Regional women’s basketball playoff brackets and seedings were announced today from Cerritos College. 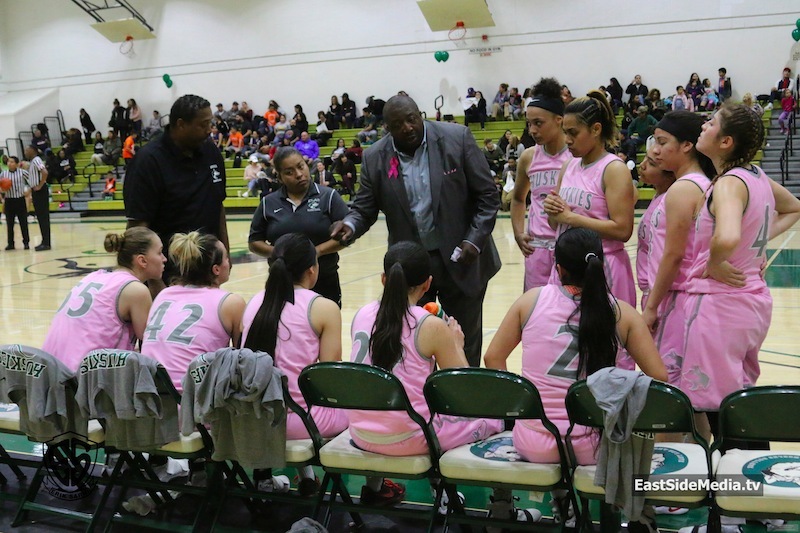 The East Los Angeles College Lady Huskies drew the SoCal Regional No. 2 seed and a Round 1 bye. Their quest to return to the championship game and win a state title begins with a CCCAA Round 2 home game on Saturday, Feb. 25 at 7 p.m. in the South Gym. ELAC will face the winner of a Round 1 game between No. 15-seed Sana Ana College (15-13) and No. 18-seed Allan Hancock College (17-9), who reached the playoffs for the first time in 22 years. If the Huskies win that game, they host a Sweet 16, Round 3, playoff game March 4 at 7 p.m., against the winner of a Round 2 game between No. 7-seed Saddleback College (21-9) and No. 10-seed Pasadena City College (20-9). It is a difficult task to beat a team three times in one season—the Huskies defeated both Saddleback and Pasadena twice this season. There is a formula to winning a state title and everyone the Huskies face, according to ELAC sophomore guard Vianey Chavez. “The historic journey of this team is to focus on what’s at (hand), ‘one play-at-a-time, one game-at-a time,’ and nothing less,” said Chavez. The Huskies finished the regular season with a 26-2 record. The state championships return to the Elite 8 format this year and will be at Las Positas College on March 9-12 in Livermore.